Come to the library to find and check out the new additions to our collection. Below are some of the brand new titles added this school year. Many have received starred reviews and several awards, and are part of ALA Notable/Best Books lists. Horn Book starred (March, 2010) By retelling Aesop's fable entirely in his signature pencil and watercolor art, Pinkney encourages closer exploration of the pleasing detail with which he amplifies it. 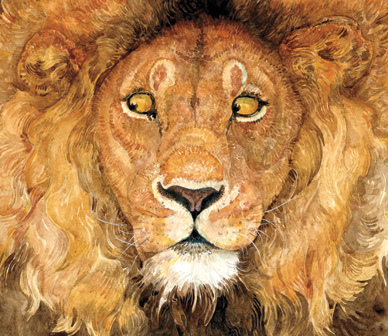 On every page, this beautiful book suggests even more than it tells about its real setting, and about that fabulous world where rescues may happen between lion and mouse. An artist's note is appended. Horn Book starred (March, 2010) Sixth grader Miranda's life is an ordinary round of family and school. But when she starts receiving anonymous notes that seem to foretell the future, it's clear that all is not as it seems. The story's revelations are startling and satisfying but quietly made. Their reverberations give plenty of impetus for readers to go back and catch what was missed. How to clean your room /Spinelli, Eileen. Let's do nothing! /Fucile, Tony. Read it, don't eat it! /Schoenherr, Ian. The lion & the mouse /Pinkney, Jerry. The OK book /Rosenthal, Amy Krouse. Cirque du Freak /Shan, Darren. Heck: where the bad kids go /Basye, Dale E.
The chronicles of Vladimir Tod /Brewer, Heather. The last song /Sparks, Nicholas.